Cypriots see Famagusta as a lost paradise. 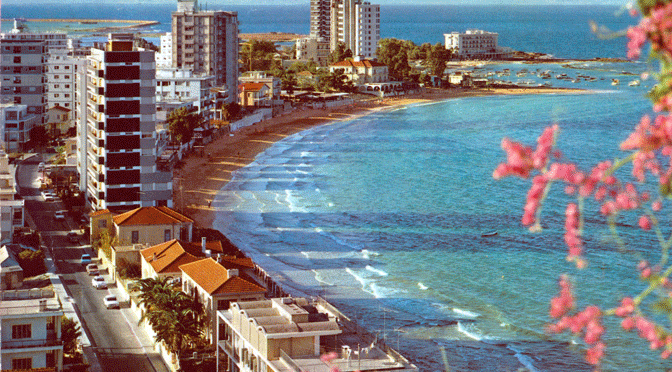 Before the Turkish invasion in 1974 the resort on the island’s east coast, with its beaches of white sand, was the main tourist attraction on Cyprus. The town looked back on a rich past spanning several centuries, with Venetian ramparts and the Lala Mustafa Pasha mosque, formerly Saint Nicholas’s, a replica of Reims cathedral built by the French Lusignan dynasty, which ruled the island in the 14th and 15th centuries. But for the past 40 years Famagusta has been in limbo. Deserted by its residents, closed by the Turkish military and ringed with barbed wire, a large part of the town is waiting for a long-awaited thaw. Thousands of expropriated Greek Cypriots, who have taken refuge south of the “green line”, still refuse to forget their old home. 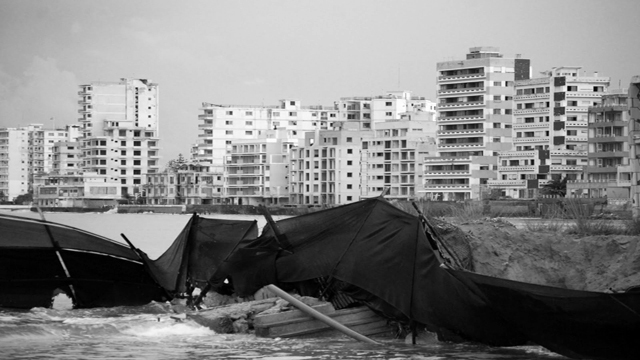 The fate of Varosha, a district that has been empty since the invasion, is a recurrent topic for talks between the two halves of the island. Last year rumours claimed it might be handed back to end the deadlock, which has continued despite the good offices of the UN secretary general, Ban Ki-moon. But nothing has happened. The financial crisis in the southern part of the island has, momentarily, sidelined the issue of reunification, barely mentioned during the presidential election campaign in February, which brought to power Nicos Anastasiades, generally thought to be in favour of talks with the north. “Dervis Eroglu [the president of the Turkish Republic of Northern Cyprus] called him to congratulate him and suggest a meeting. We sent him an invitation to dinner to get the process moving again,” Ertug explains. Turkey is also keen to restart negotiations quickly. “We should encourage both sides in Cyprus to find a solution together,” the Turkish minister for European affairs, Egemen Bagis, told the Luxemburger Wort daily. “They are like married couples. Turkey, Greece and Britain are like parents who want to save their marriage.” But so far there has been no response to this offer. 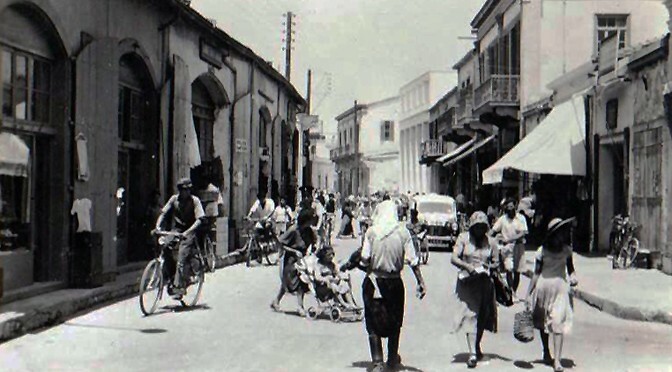 Sapped by the crisis, Nicosia is reluctant to enter negotiations at a difficult time. “But it never is the right time,” Ertug counters. “There have been seven leaders in half a century, including an archbishop [Makarios] and a communist [Dimitris Christofias], but still no peace. A crisis may offer opportunities too,” he adds. According to the north, the question of hydrocarbon reserves off the coast of Cyprus could lead to useful negotiations for both sides. Turkey disputes Cyprus’s right to exploit these resources on its own. It is demanding a fair share-out between the two communities. Both parts of Cyprus certainly stand to gain from greater co-operation. “Gas is an opportunity to kick-start negotiations on reunification,” says Cengiz Aktar, a Turkish columnist and specialist on European affairs. “We must knock down the walls,” advocates the Turkish Cypriot economist Hasan Gungor, another presidential adviser. “The biggest Toyota car factory is located in Turkey but Greek Cypriots import their Toyotas from Japan, despite the fact that they cost less on the other side of the island,” he notes. The cost of separation could be a powerful incentive for both parties to reach a compromise.